If Orpheus and Eurydice lived in this charming Japanese village instead of ancient Greece, they might have had a better chance at cheating death. In Kamakura humans and spirits (as well as a menagerie of other mythical creatures) openly cohabitate as friends and neighbors. 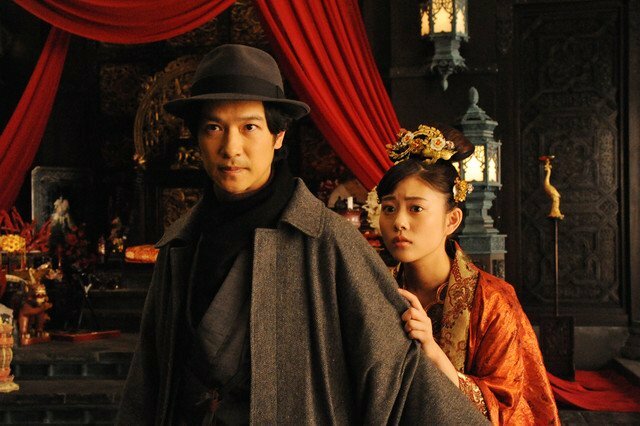 It is a lot for Akiko Isshiki to get her head around when she marries a Kamakura native, mystery novelist and part-time detective Masakazu Isshiki, but she will see even more fantastical things when she is forced to visit the realm of death in Takashi Yamazaki’s Destiny: The Tale of Kamakura (trailer here), which screened during the 2018 Fantasia International Film Festival. Viewers get a rather scenic introduction to Kamakura, along with the incredulous Akiko. There are cute little kappas living in their yard and all kinds of spirits selling wares at the night market—not all of them are friendly. In fact, one sinister goblin tries to kill the Isshikis with poisoned mushrooms. However, that brush with death allows Masakazu to temporarily perceive agents of death as they go about their business. They are not bad folks, really. In fact, the agent assigned to his faithful editor Honda is quite personable. Together, they help the distressed man to make arrangements that allow him to continue to watch over his family. In this case, he is forced to reincarnate immediately as a toad spirit. About midway through, we learn there is a malevolent entity out there that resents the Isshikis’ married bliss. It will do anything to break them up, including divorcing Akiko’s spirit from her body. At this point, Destiny takes a turn towards the territory of Richard Matheson’s What Dreams May Come, but it always remains sweet and indomitably optimistic. Despite being based on Ryohei Saigan’s mid-1980s manga, which doesn’t seem to have much readership here, some hip distributor ought to pick it up, because it could be the geek date movie to end all geek date movies. The Isshikis are a completely winning couple and their story of love reincarnated in successive lives is deeply romantic. It also tops the wonder of Vincent Ward’s vision of the afterlife, which was the best aspect of his Matheson adaptation. Masato Sakai and Mitsuki Takahata are altogether charming as the Isshikis. Their chemistry develops naturally and they are both refreshingly earnest and even virtuous. Yet, Sakura Ando (probably best known for 100 Yen Love) steals scene after scene as the big-hearted, snappy-dressing grim reaper. In addition, the film is fully loaded with colorful supporting characters, many of whom are played by some of Japan’s most recognizable thesps. Yamazaki helms with the perfect touch, involving viewers on an emotional level, but never shaking our confidence in his plucky leads. Based on Destiny, as well as previous films, such as the Always Sunset on Third Street trilogy and Space Battleship Yamato, he might just be the best in the business for manga/anime live action adaptations. We would love to see the Japan Society do a retrospective of his work. Destiny will be indispensable to any such surveys. 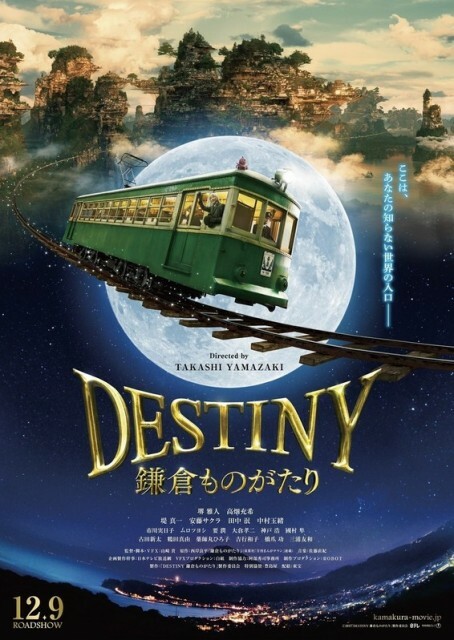 Very highly recommended for fans of romantic fantasy and fantasy world-building, Destiny: The Tale of Kamakura screened at this year’s Fantasia, up in Montreal.